The best stay of my trip. 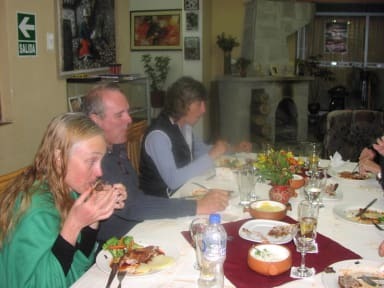 Maruja and Gilf (the owners) are always prepared to help you about the hikings, trekkings and etc. They know a lot about Huaraz. The house and neighborhood are safety. The house is not near the center but you can get a taxi "colectivo" just for 1 sol. The house is clean, the room has lot of books to read, a desktop and has a good vibe energy. The hostel is a little far from everything, you have to take a cab to everywhere. 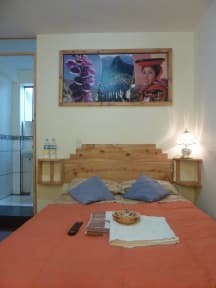 Besides that, the breakfast is very good, the bedrooms are great (they gave me a private one and I have booked a quadruple), people are awesome and helpfull. You have free tea all day. :) It's a very calm hostel!! !